It may be the season for Grads and Dads, but Spring and Summer are packed with baby showers, too. If you’re on the Guest List but nothing on the Registry suits your fancy, fortunately for you, we’re here to help. No Baby Shower is complete without an appearance by the one and only Finn + Emma. 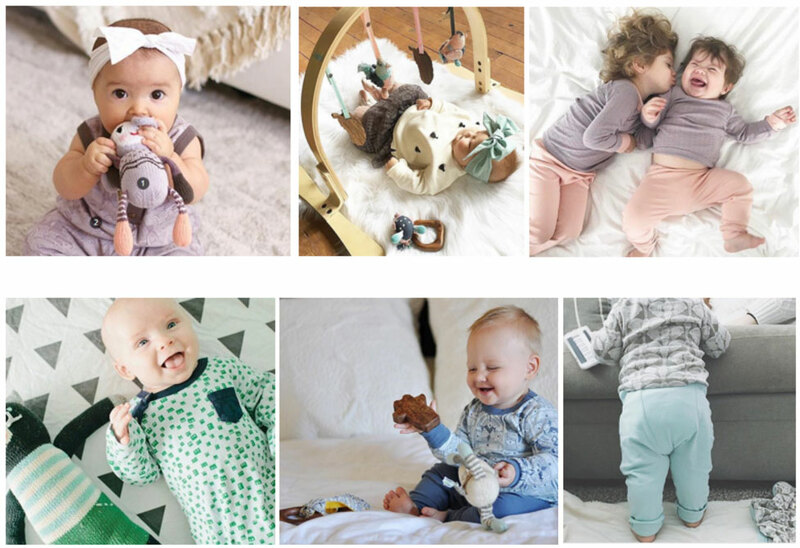 In the land of Finn + Emma, you’ll find sustainability, fair trade and organically grown cottons that are also contemporary, whimsical and swoon-worthy. No boring designs and toxic chemicals here, just an abundance of fresh prints and heirloom quality construction. All clothing is made with buttery soft organic cotton from India and Peru with G.O.T.S. Certified Cotton and made in the USA. Features easy-snap fasteners with our signature coconut inserts for quick access when changing or bathing. Toys are made from the finest 100% organic cotton, eco-friendly dyes, and all natural, untreated Indian wood. All garments and accessories are produced in fair trade settings that focus on social and economic independence for local people, women especially, working to provide for their families in a safe and fair environment. Adorn baby’s floor with a luxurious rug and wrap him up in the softest baby blanket to be had. Spanish Designer Lorena Canals revolutionized the rug market with high-quality washable rugs that are hypo-allergenic, made from non-toxic chemicals, natural dyes and without environmental hazards. The result is beautifully designed, eco-friendly and exceptionally-made rugs and accessories perfect for your new little one. Celebs fans such as Penelope Cruz, Jessica Simpson, Michael Phelps, and Kim Kardashian love Lorena Canals. Help baby (and mommy!) sleep with Ollie Swaddle, The Smarter Swaddle™. It was invented by Hindi Zeidman, whose foster baby, Oliver, was not sleeping or thriving. This special swaddle changed all that. 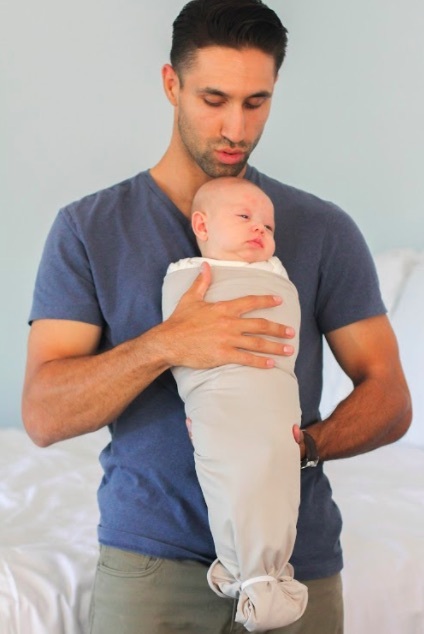 The Ollie Swaddle is the ultra-soft swaddle proven to help babies sleep longer and better with its patented moisture wicking fabric that regulates baby’s temperature, preventing the risk of overheating. Ollie Swaddle also has an opening at the bottom for diaper changes. It will grow with your baby as the velcro tabs allow parents to adjust the fit as baby gets bigger, saving you money as you’ll only need one. It keeps babies safe and comfortable for important napping and a good night’s sleep, reducing the Moro reflex or spontaneous arousal. The Ollie’s elastic fabric also moves with baby, which helps prevent any hip dysplasia issues. Preterm infants show improved neuromuscular development, less physiological distress, better motor organization and more self regulation abilities. Swaddling helps calm fussy babies and reduces the occurrence of SIDS by preventing babies from rolling from back to front. Keeping babies on their backs also helps babies regulate body temperature and keeps a clear airway promoting a higher quality of sleep. Available in 4 soothing colors, called the Nature Collection which was especially designed to calm and promote sleep. Retails for $59.